When a client hands you data for a project, it's usually in a database of some kind. Today, learn how to work some Excel magic to import a hierarchy into a database. Lately, I've been taking on a lot of work with a couple of clients. 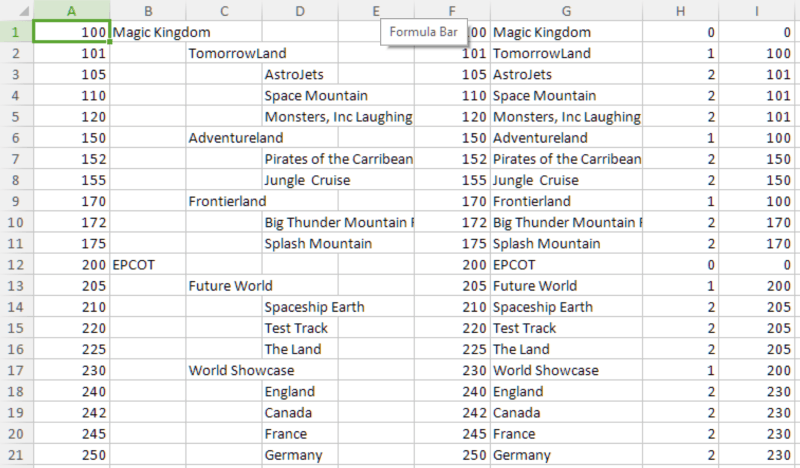 After talking with one client, he mentioned how he was working with his data and provided me an Excel spreadsheet. Wait a minute?!?! Did they just say "Excel spreadsheet" for managing his data? While I can understand Excel is what most people have at the time, it's definitely not a database. 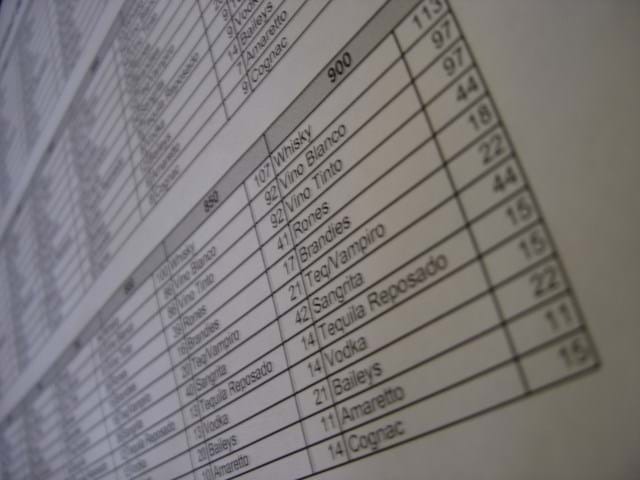 I know Excel has the option to save as CSV, but we have a problem with this particular issue. 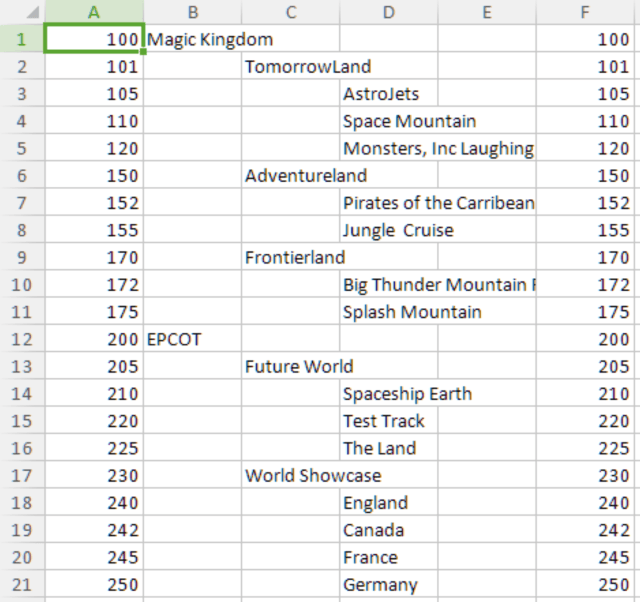 The data looks like this (Note: I'm using mocked up data to protect the project). 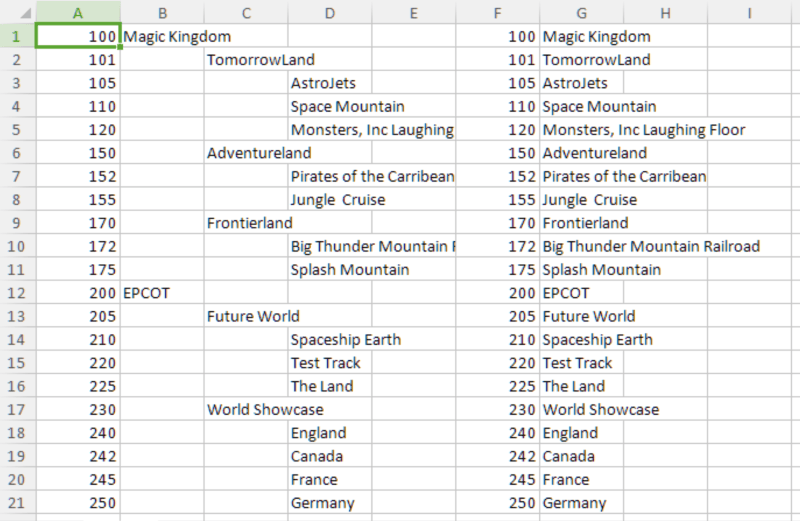 As you can see, this really isn't a great CSV format to work with when exported. This usually requires some massaging of data before the data can be usable. 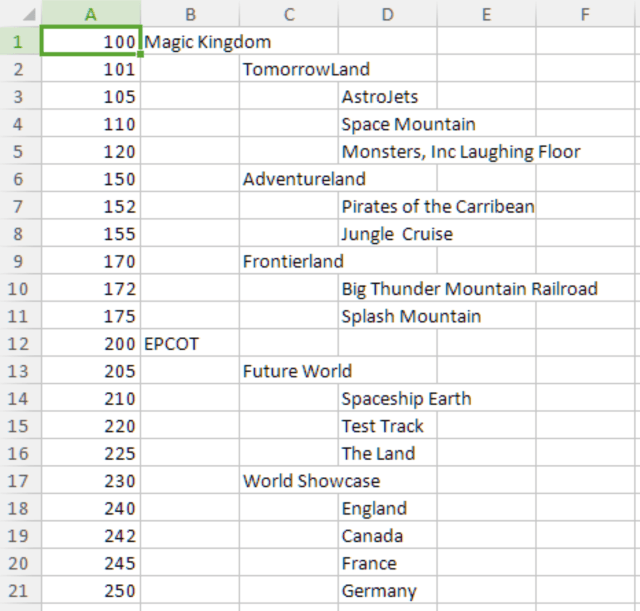 Do everything you can inside of Excel to make it a little more usable. Why? Because I'm sure in the future, they'll give you an updated Excel file and expect you to import it just as quick. To give you an idea of what our final table looks like, it'll look similar to our menu system from earlier this year. I need a parent ID for the children so I can identify how deep this hierarchy is. So, let's flatten this hierarchy so it's usable! For more information on the INDEX/MATCH combo, check out AbleBits. They have a great write-up on INDEX/MATCH with examples on how to maximize your lookups... without VLOOKUP!